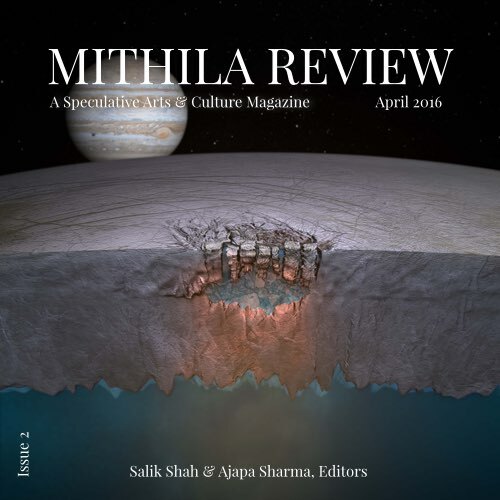 Mithila Review (http://mithilareview.com) is an international science fiction and fantasy magazine. We publish speculative fiction and poetry, film and book reviews, essays and interviews from across the world. Starting with our first quarterly issue in 2017, we want to start paying an honorarium of $10 for poetry, flash (under 2500 words), non-fiction and reprint, and $50 for original short stories (between 4000-8000 words). Your pledge could make that happen! 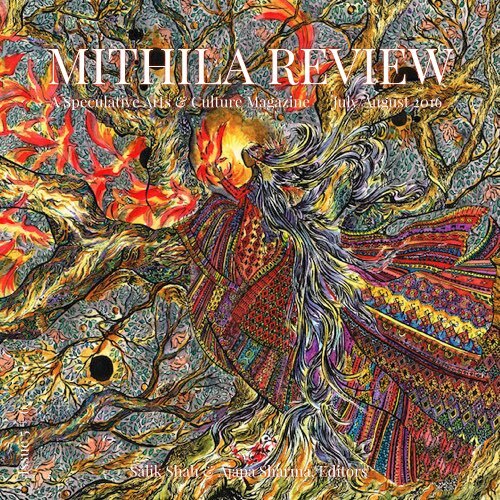 Please help us keep Mithila Review open and free for readers worldwide. We cannot pay our contributors for their work, or create a healthy, diverse and vibrant science fiction and fantasy community without your generous patronage and support. Ken Liu, Usman T. Malik, Kelly Robson, Dilman Dila, Shweta Narayan, Rohan Chhetri, Shikha Malaviya, Shveta Thakrar, Zainab Ummer Farook, Bhushita Vasistha and others. Cover art by Steve McDonald. Ian McDonald, Kij Johnson, Indra Das, Arkady Martine, Vajra Chandrasekera, Mark Bould, Rabi Thapa, Arjun Rajendran, Seo-Young Chu, Bharat Iyer, Priya Sarukkai Chabria and others. Cover art by Britney Schmidt & Dead Pixel Fx, University Of Texas At Austin. Theodora Goss, Oliver Buckram, A.J. Odasso, Sara Backer, John W. Sexton, Seth Jani, Vinita Agrawal, Niyati Bhat and others. Cover art by Abdulrahiman Appabhai Almelkar. Anil Menon, Vajra Chandrasekera, Melissa Frederick, Naru Dames Sundar, Abhishek Bhatt, Josh Brown, Mark A. Fisher, Sami Ahmad Khan, Saima Afreen and others. Cover art by Ashim Shakya. Aliette de Bodard, Alyssa Wong, Isabel Yap, John Chu, JY Yang and Priya Sharma, Lavie Tidhar, Glen Hirshberg, Mary Anne Mohanraj, Mark Russell, Dean Francis Alfar, Ng Yi-Sheng, Isha Karki, David S. Golding, Charles Tan, Shobhana Kumar, Jennifer Crow, Ken Poyner, Niyati Bhat and others. 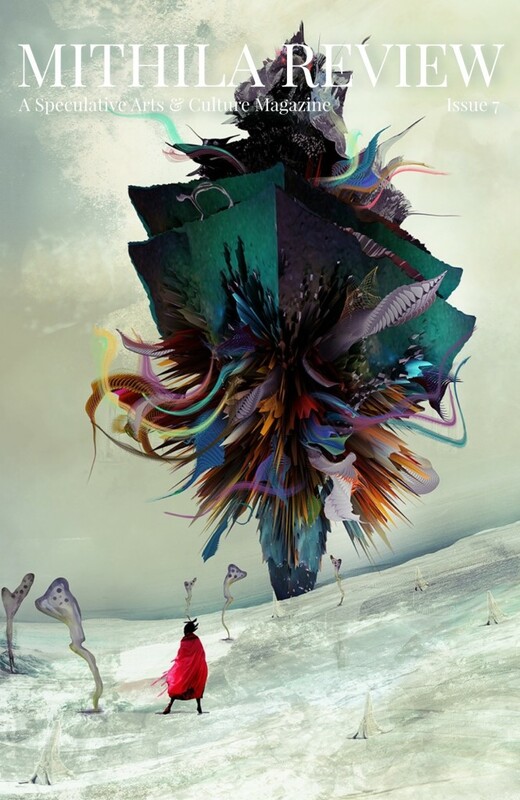 Cover art by Mia S-N. Available to our Patreon patrons and Weightless Books subscribers, and for individual purchase through Amazon.com and also on Weightless Books. Cixin Liu, Jaroslav Mostecký, Vlado Ríša, Martin Šust, Julie Novakova, Carlos Hernandez, David Bowles, Ernest Hogan, Sabrina Vourvoulias, Silvia Moreno-Garcia, William Alexander, Gwendolyn Kiste, Margaret Wack, Mari Ness, Jamie Samdahl, Sandi Leibowitz, Sonya Taaffe, Regina Kanyu Wang, Shaoyan Hu, Andy Dudak, Priya Sharma, Isha Karki, Gautam Bhatia, Aditya Singh and others. 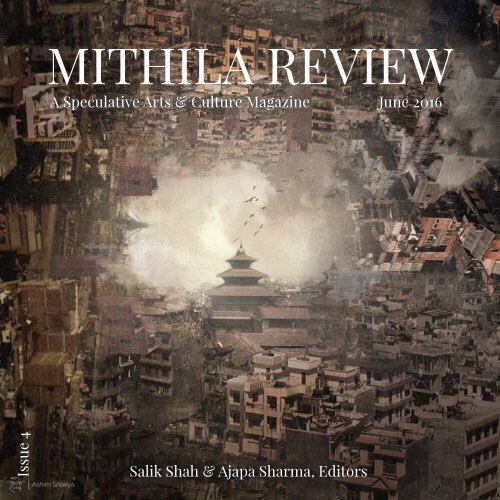 Thank you for making it possible for us to keep Mithila Review open, free and strong for our readers across the world! In addition to content karma points, we'll send you an ebook (epub/mobi) of our upcoming issues! 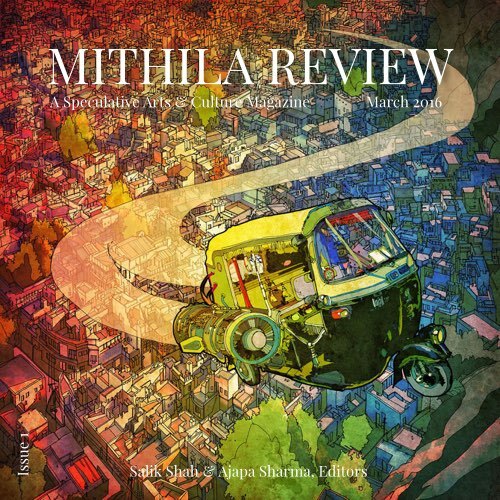 You'll achieve awesome content karma points for making it possible for us to keep Mithila Review open, free and strong for our readers across the world. You'll also receive an ebook (epub/mobi) of our upcoming issues, and an print/electronic issue of any special or themed anthologies we publish in future. 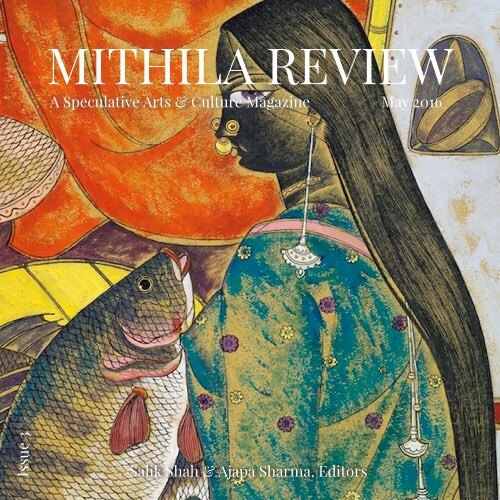 You'll receive awesome content karma points for making it possible for us to keep Mithila Review open, free and strong for our readers across the world.